It is interesting to note that despite Falstaff’s subversive presence -exposing the hypocrisy of those in power- he was truly liked by Elizabeth the First ! So maybe this indicates Shakespeare’s sense of how Falstaff, despite his seemingly outrageous behaviour is something that is a valuable component of society. If we were all so solemn and serious -as the King and his courtiers – life would be a boring, lifeless realm. There is also the question that while Falstaff indulges himself in petty crime, does it truly compare to the crimes against humanity that are committed in the name of those in power: George Bush and Iraq; Tony Abbott and refugees being sent to Cambodia! 1. 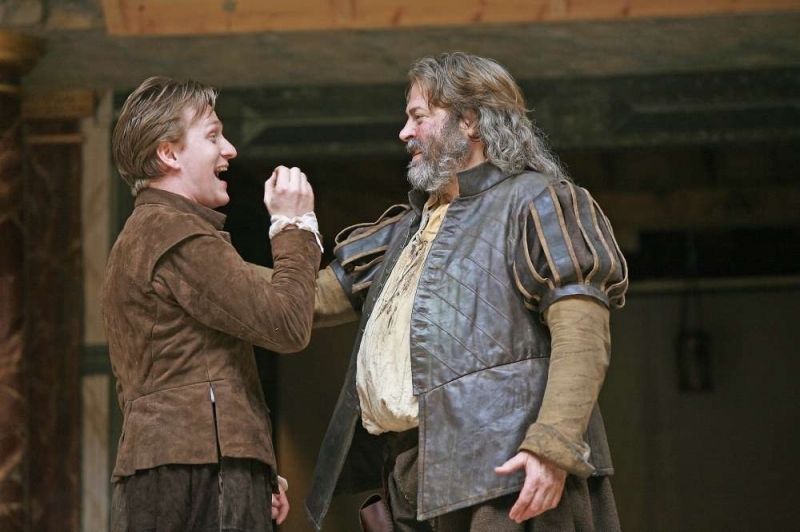 How well suited to their roles do you think were Roger Allam and Jamie Parker? What did the casting of these two characters add to the presentation of these two central characters? 2. Try translating the first exchange between Hal and Falstaff into modern English, substituting modern objects for the things Hal and Falstaff are talking about. 3.Remember your are permitted to create your own topic building on what we are doing in class and adding your own experience to this! Enjoy. ← Clemente/Catalyst Students Go the NSW Art Gallery: The Links between Literature and Art!